Recently, the Bank of Canada released its semi-annual Financial Systems Review (PDF document), which identifies some of the major risks that the Bank foresees on the economic horizon. Unsurprisingly, the Bank pinpoints increased levels of Canadian household debt and rapidly increasing prices in Toronto and Vancouver as vulnerabilities to the financial system. The good news is that, despite these vulnerabilities increasing over the past six months, the Bank of Canada is confident that the financial system remains resilient, and that overall, national economic conditions continue to improve. This positive outlook, combined with strong economic growth, are playing a role in the not-so-subtle hint that the Bank may increase interest rates sooner rather than later. So what does this policy review indicate for future federal interventions in the mortgage market? The short answer is a lot. It is no coincidence that the aforementioned vulnerabilities mirror the rationale used by the federal government for the mortgage insurance and eligibility changes in October. The Bank of Canada, the Department of Finance and CMHC are all aligned and focused on curbing elevated levels of household debt and ensuring the stability of the housing sector. This report could be viewed as representative of the problems and policies that the finance department is considering. It is no surprise then that the Bank of Canada is pleased with the impact that the October changes have had on the debt-to-income ratios of insured mortgages (chart 3). But, the changes have also had an impact on increasing the market share of new mortgages that are uninsured. Clearly, this was an intended impact of the federal government’s changes and now the Bank of Canada is identifying the uninsured space as the next place to consider in terms of whether action is needed. The Bank’s concerns will likely find a supportive audience at the Ministry of Finance and at CMHC. The data showing the increasing debt-to-income ratios for the uninsured sector (table 1) could trigger an investigation into additional regulation in the uninsured space by the Ministry of Finance or OSFI. The first measure that is likely being considered is related to Home Equity Lines of Credit (HELOCs). This is clear for two reasons. First, because the Bank of Canada believes that the greater use of HELOCs could also be contributing to increasing household indebtedness. According to the Bank, HELOCs have increased at rates above income growth since early 2016, and have accounted for approximately 10 per cent of total outstanding household credit in recent quarters. Second, the Financial Consumer Agency of Canada recently released a report raising concerns that HELOCs may be putting some Canadians at risk of over borrowing. The timing of this report and the Financial Systems Review may not be coincidental. It seems OSFI may be considering making changes to its B-20 underwriting guidelines; the Bank of Canada’s report suggests that OSFI will begin a public consultation shortly. The critical policy question that the Department of Finance could be considering is whether to extend the stress test for insured mortgages to uninsured mortgages as well. This could create a more even playing field for lenders who originate a greater percentage of insured mortgages and could possibly have an impact in cooling the markets of Toronto and Vancouver. 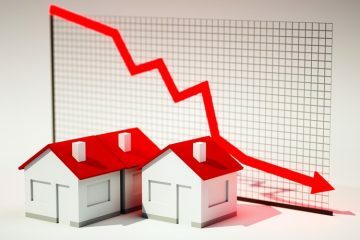 However, it could also negatively impact the rest of the Canadian housing market, which is not suffering from the same vulnerabilities of Toronto and Vancouver and could become unnecessary if the Bank of Canada raises interest rates. Finally, there was a small policy section in the review that few may have paid much attention to but is important and provides some very helpful insights into the future of Canada’s private mortgage securitization market. The Bank of Canada recognizes that the recent changes have negatively impacted mortgage lenders that rely on portfolio insurance and that the increased growth in uninsured mortgages have created an opportunity for private residential mortgage-backed securities. The Bank of Canada goes even further and suggests that “properly structured private securitization would benefit the financial system by helping lenders fund loans.” (page 13). It is surprising that this issue hasn’t received more attention because the Bank of Canada is tacitly endorsing a significant policy shift away from CMHC-backed mortgage securities to a private sector mortgage securitization market. This confirms that the creation of this market is an intended impact from the federal government’s changes to portfolio insurance and aligns with CMHC President Evan Siddall’s testimony to the finance committee on the changes to portfolio insurance. Until the Bank of Canada is convinced that the housing sector no longer poses the greatest liability to the Canadian economy, Canadians will continue to see the federal government scrutinize mortgage activity in Canada with an eye to reduce the increasing levels of household debt in the country..
Let’s hope the government shifts their focus to unsecured household debt instead of further secured debt restrictions. However, if the Bank of Canada’s review is representative of the Ministry of Finance’s considerations, watch out for changes to HELOCs, through B-20 changes, the stress test being applied to uninsured mortgages and continued growth in the developing private sector mortgage securitization market. Samuel Duncan is the manager of government and policy for Mortgage Professionals Canada. Samuel has worked in various senior roles within the government of Canada, including serving Prime Minister Stephen Harper as his Deputy Director of Issues Management. Bank of Canada has become fixated on Ia loan-to-income ratio of >450% as an indicator of risk. ‘m not convinced. 450% is basically the max approvable using the stress test interest rate of 4.64% – when market interest rates are still in the range of 2.6% for 5-year fixed at major lenders. At 450%, many of these so-called highly-indebted borrowers have some room to tolerate higher rates in the present, and considerably more room at renewal, especially if they have income growth (at even a modest rate of 2% per year) during their 5 year initial term. At 450%, it isn’t so much a question of whether you’ll default on your mortgage if rates tick higher (though that is a risk, too) but whether you’ll ever be able to save for retirement. It’s basically a bet that your wages will increase faster than inflation, and inflation will stay low. True for some, but probably not for most. Perhaps it is time the government took a look at non-mortgage lenders and unsecured debt. They don’t have a plan, The biggest problem is unsecured debt and Helocs. 4-Add cell phone and cable to TDS-GDS. If we do this we will be safer. The only problem is bay street will not be as rich and the people’s wealth will not be transferred to them. I am not sure our politicians and the central bank are as independent as they make us believe. Its time to slow down people you really cant afford to buy they are buying with expectation houses always go up.If houses start going down they will bail .It is also time for the government to stop loopholes that foreign buyers use to not pay taxes and inflate the market. Revenue Canada should have been going after taxes for years on presales if I buy any else I buy tax right away.Biggest housing boom government not collected taxes .